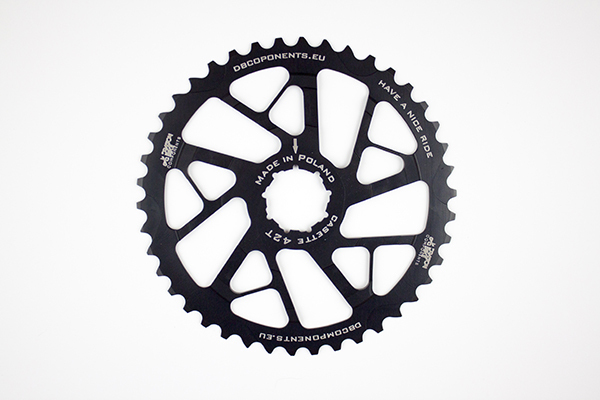 The developing cycling market flourished in the creation of 42 cassette cogs. 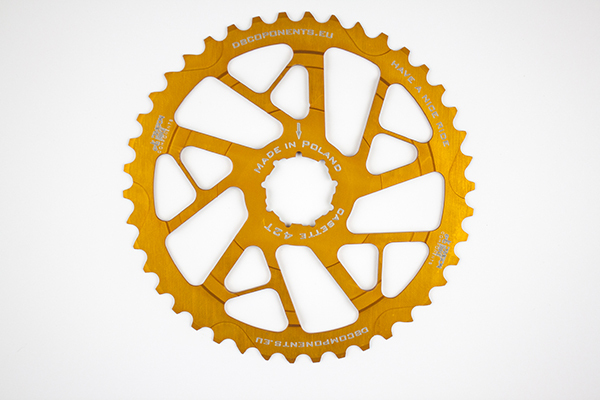 42t cogs extend the range of the cassette what makes the approach smoother. 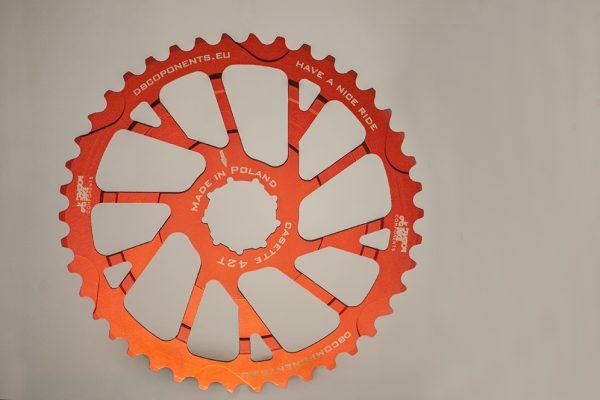 The cogs are made of high quality aluminium 7075-t6 and thus we obtain suitable weight with high endurance. 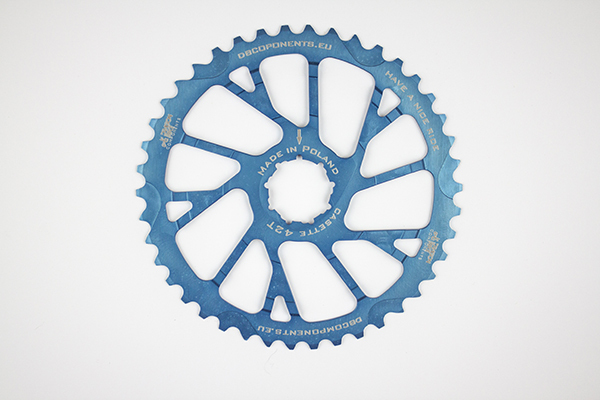 Compatible with Shimano and Sram cassettes. 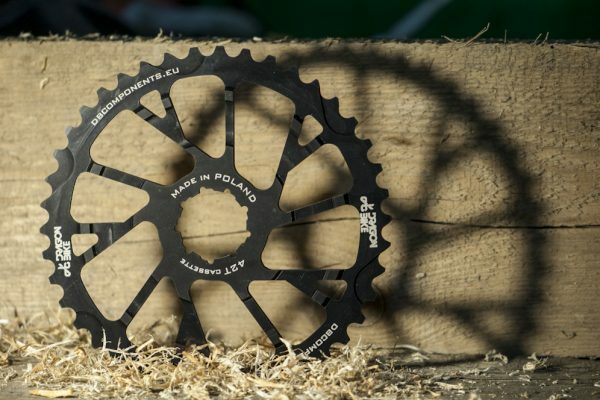 The cogs are produced in Poland. 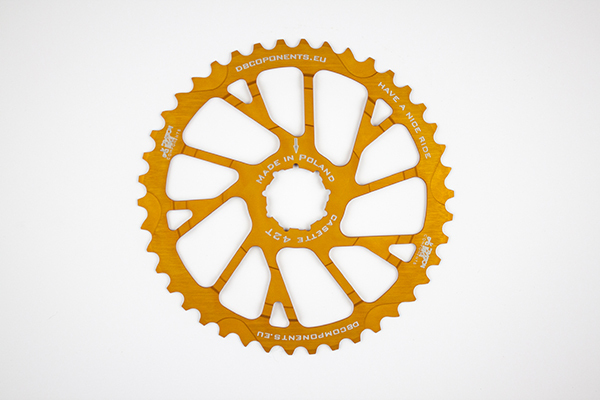 The installment of the cog consists of removing the 15t or 17t cog and installing the 42t as the first cog. 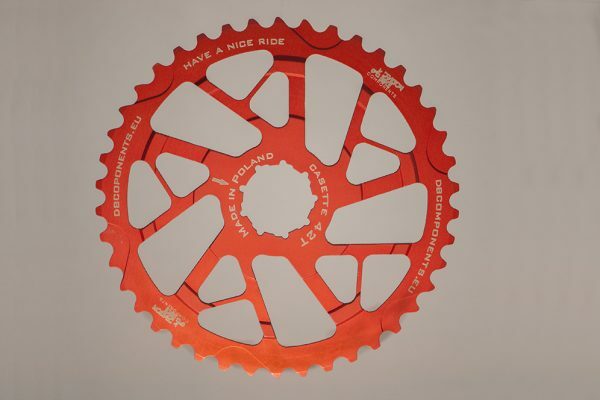 Next you should instal the spacer from our set and the rest of the cassette. 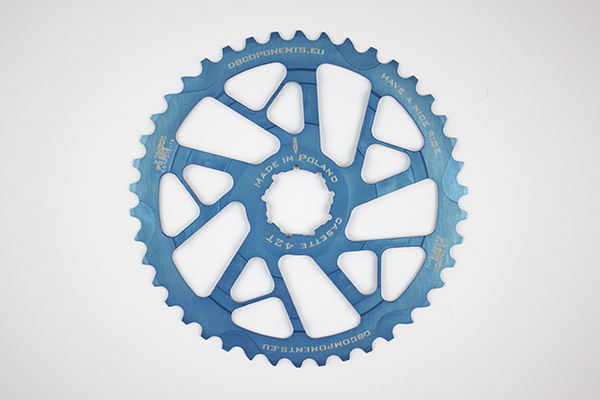 Usually it is necessary to unrivet the cassette to take out the 15/17t cog. 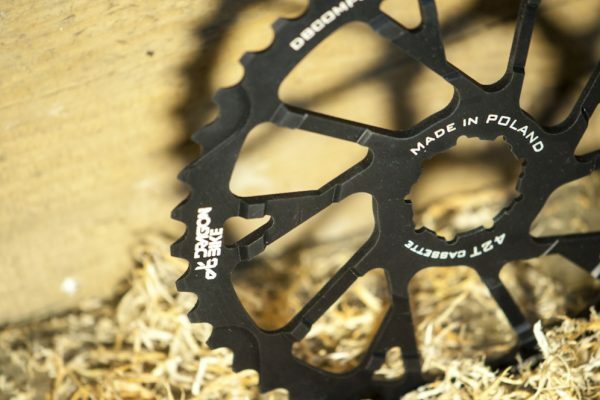 There might also be the need to change the screw tightening the pulley in the derailleur for a longer one to enable the derailleur to operate the whole range of the cassette.